A sprayable glue which bonds to wood, concrete, stone, tiles, rubber, foam, metals, rigid plastics, polyethylene, canvas fabrics, cardboard, paper and cork. Ideal for securing carpets/floor coverings. Internal and external use, giving permanent or temporary adhesion. Spray Contact Adhesive 500ml is rated 4.5 out of 5 by 49. Rated 5 out of 5 by MB82 from Works great Brought to fix carpet tiles to a concrete shed floor. Floor was a bit dusty so pva'd first. Adhesive has worked great. Nothing has moved under heavy traffic. Rated 1 out of 5 by Stu M from Rubbish Came through the fabric and stained as it’s yellow, what’s the point in a yellow glue that supposedly can be used for fabrics?!! Wasnt even that adhesive... Very unhappy as wasted an expensive bit of fabric in a job I had been pouring my heart into, and it totally ruined it and wasted a lot of money. 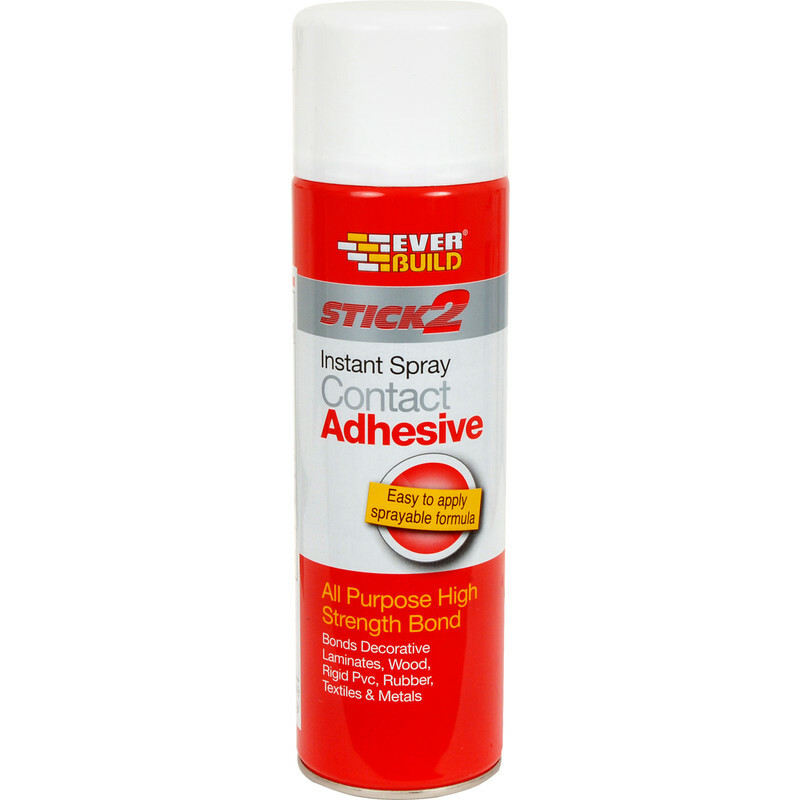 Rated 4 out of 5 by p0lly 377 from Easy to use, less mess Buy this spray adhesive and use it for many projects& find it very good , Have not tryed it on outdoor repaires so cannot comment.